Two Jewelers In House: We have two jewelers who both work in the store. 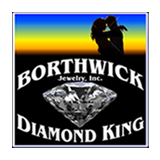 With 24 years combined experience your jewelry will be professionally fixed within a few days. Repairs Done In Store: 99% of every jewelry repair is done on site by our two jewelers. This takes the worry out of getting your jewelry repaired as it doesn't need to be shipped out and gets locked up at night. Laser Welder: We have a state of the art laser welder which can accurately weld gold and silver jewelry with a laser beam. This helps keep the heat down on the item and allows us to weld those hard to get places. With this new technology repairs can be done faster and more efficiently, giving us the ability to have your repairs done usually by the next day. We are one of the few jewelers in Whatcom County that have this machine which allows us to do certain repairs other jewelers aren't able to do. In fact two local jewelers come in weekly to borrow our laser welder because they are our friends and we like to help them. Honesty: With over 20 years in business in a small town, you know we are honest, reputable, and want to fix your jewelry perfectly. We like going home and feeling good about what we do. We would never dream of doing anything dishonest. Our integrity is more important than anything. Eye Glasses: We have the ability to fix eye glasses while you wait for $25. They are waranteed forever. However, titanium ( if the arm bends easily) glasses cannot be repaired. White Gold Plating: We rhodium plate jewelry while you wait for a small charge. All white gold rings are rhodium plated before you buy them to make them look super white. You will find if you rhodium your ring twice a year, it will look brand new everyday. Free Ring Cleaning and Inspection of your fine jewelry: We'll check your prongs to make sure they're holding your diamond tight. We'll check all solder points so you know your diamond is safe and secure.Stop in right now! Its FREE!